Long before Silicon Valley invaded California, there was an “Innovation Garden” flourishing in New Jersey. Which easily qualified as the Invention State. Thomas A. Edison and his laboratory in West Orange, New Jersey cemented New Jersey’s role in innovation. Many smaller manufactures of electrical equipment became located in New Jersey, all wit their on innovations. RCA Laboratories in Princeton, New Jersey was formed in 1942 and a host of inventions resulted, including color television. One of the more famous R&D facilities in New Jersey was Bell Telephone Laboratories, Inc. (Bell Labs). 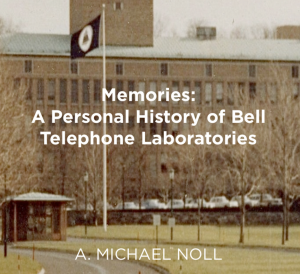 The freedom to take risk, coupled with a proximity to practical problems, characterized Bell Labs. These factors are today associated with Silicon Valley, but were present decades before at Bell Labs and the other R&D facilities located in New Jersey. The very “silicon” in Silicon Valley came from William Shockley, one of the inventors of the transistor at Bell Labs who later went to California.